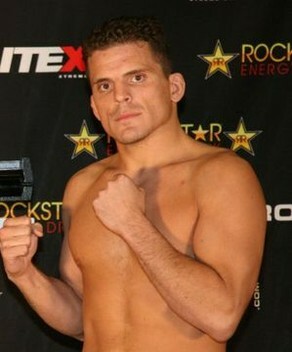 Lyle Beerbohm is a Strikeforce and King of the Cage veteran who competes as a lightweight. He is currently undefeated in fifteen cage appearances. Beerbohm has drawn early stoppages in all but two of his career bouts. In his most recent fight, Beerbohm used a modified "McKenzie" choke to defeat his opponent Josh Calvo at "Rumble on the Ridge 14" last weekend. The "McKenzie" choke, or "Prayer" choke, was popularized by one of Beerbohm's students, Cody McKenzie, a TUF 12 contestant, who has used the technique to submit two of his opponents so far this season.